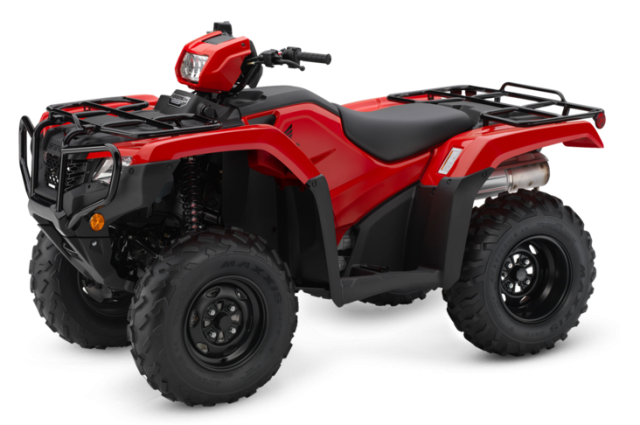 The Honda TRX500 is a heavy-hitting ATV built for hard work and big loads – day in, day out. 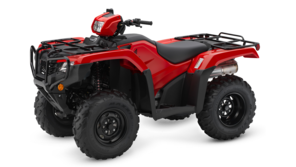 The TRX500 will work for you, with it’s low-down torque to it’s liquid cooled engine – It will help you tackle really rough terrain, as well as the big towing jobs. It’s an ATV you can rely on. Choose various transmissions and options including independent rear suspension and power steering. TRX500FM2: Switchable 2/4wd, manual five-speed gearbox, power steering and automatic clutch. 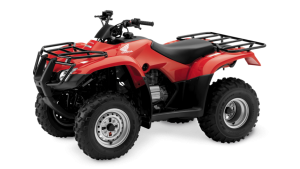 TRX500FM6: Switchable 2/4wd, manual five-speed gearbox, independent rear suspension, power steering and automatic clutch. 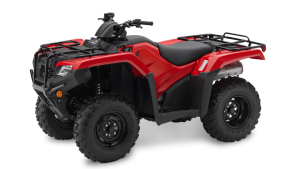 TRX500FA6: Go-anywhere, do-anything tool, with faster, smoother gear changes plus independent double-wishbone rear suspension and power steering.